Most of the students that come to us sophomore year have very little or no understanding of basic measurements that were taught to them early on. In this section you will find many resources to help students of any grade brush up and hopefully memorize some skills to recall their basic measurements and equivalents. This lesson is daily for me in our program; hands on practical knowledge of this is the only way our students can be successful in the culinary field. Michael Szalkowski started a home business earning money from his love of baking at the age of 15. That led him to the Culinary Institute of America—"the other CIA.” There he won an outstanding-student award before graduating with a degree in bakery and pastry arts. He soon opened another business, Dardous Fine Pastry in Ohio City. Michael took an opportunity to teach at Tri-C in an adjunct position. 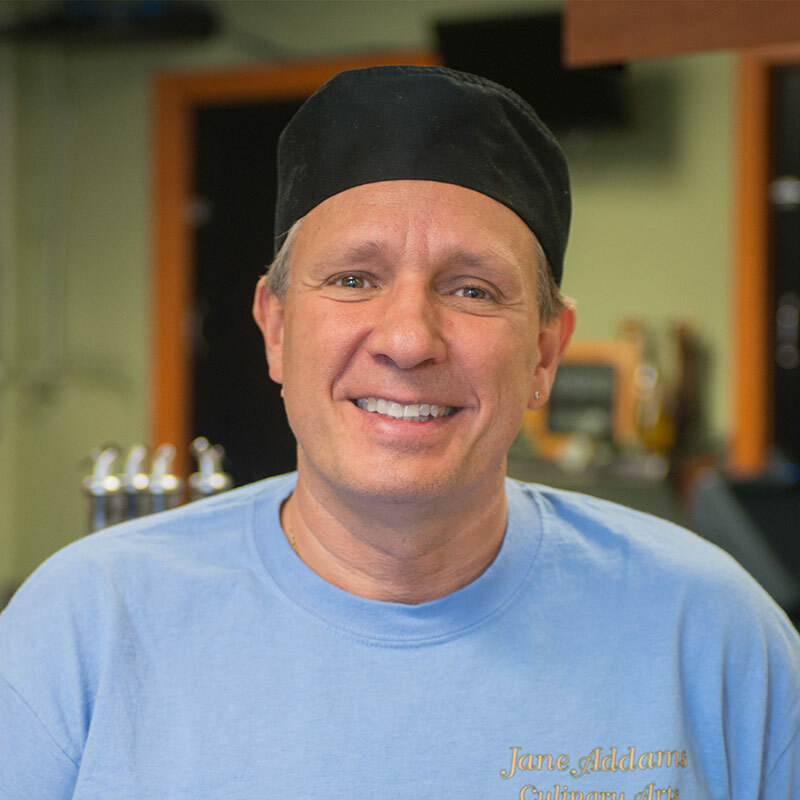 The excitement of sharing his passion for culinary arts led him to become a full-time instructor with the Cleveland Metropolitan School District where he has taught for 19 years. He went to Kent State University to get his teaching certification and began his career as chef instructor. Michael teaches students in the classroom and at The Executive Grille, a school-run restaurant that provides students with a range of skills that can be used towards further education, internships or jobs immediately after graduation. Students learn food preparation, sanitation and food safety, serving, customer service, and a multitude of other skills. After several years of planning, Michael and his co-chef brought a new program to life— Grille On The Go, a food truck made from a converted school bus. Students staff the bus, serving a specially designed menu to several locations in the Cleveland area over the summer. Students use real and simulated tasks to learn how to connect to the real world, and create meaningful and valued outcomes. Michael believes strongly in authentic learning to engage all of a student’s senses. Outside of teaching, Michael is an avid photographer, enjoys fine arts performances, and dining out—a chance to try new foods and let someone else do the cooking!